Professional translation bodies and accrediting organizations increasingly recognize the importance of ethics in their daily work and the need to equip their members with the relevant skills to address the ethical issues they encounter. Major bodies of professional translators, such as ATA (American Translators Association) and SFT (Société Française des Traducteurs) have published their codes of ethics and required their members to observe the guidelines therein. Also, less structured translation entities have their own professional codes and standards. The rationale behind this is that translators need to exercise wise ethical judgments, along with professional competence, with a view to avoiding ethical mistakes and deliberate wrongdoing, while translating/revising documents. Drawing on the assumption that translators’ ultimate duty is to convey meaning faithfully, accurately and impartially, the purpose of this workshop is to enable participants to identify the ethical issues encountered in concrete circumstances, to analyze how such issues should determine their decision, to adopt the effective response in a specific real-life situation and to develop the appropriate reasoning skills conducive to justifying such decisions. This would enable participants to gain deeper understanding of the effects of translators’ behavior on their clients, their colleagues, the profession and the translation industry as a whole. The workshop includes a combination of (1) presentations, (2) breakout groups and (3) scenario-based problem solving with regard to (1) basic rules of translation ethics, (2) conduct vis-à-vis the profession, (3) conduct vis-à-vis commissioners/clients and (4) conduct vis-à-vis colleagues or fellow translators, including freelancers. Should translators correct or improve the content of original texts? In what circumstances should the translator refuse work? Should the translator grant priority to sense or style? How should the translator respond to criticism? What are the responsibilities of revisers vis-à-vis their translator colleagues? How should translators deal with confidentiality? Should translators accept work that lies beyond their competence? Should translators undercut colleagues by offering lower prices for translation services? Should the commissioner/client determine the translation choices, including tone and style? To expose and analyze the ethical challenges participants have encountered in their careers, for them to upgrade their ethical conduct. 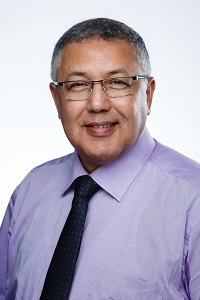 Dr. Ahmed Alaoui is the Head of Translation and Training Center at TII. He is a graduate of the University of Wales, and University of Essex, England. His research work focuses on translation pedagogy (translator-training). His latest book, Translation: a Practical Guide for English-Arabic Translators, is the fruit of more than 20 years of teaching translation at the undergraduate and postgraduate levels. He has written many articles on translation pedagogy. He was also a Visiting Scholar at the University of Massachusetts, Amherst, USA, and University of Nantes, France. Dr. Alaoui is also a confirmed professional translator, certified by the United Nations (Roster) and the Ministry of Justice of the Kingdom of Morocco. He has been providing translation and revision services to national and international organizations. As a professional trainer, he has been leading Translation workshops for 26 years. Participants: This Workshop is recommended for translation students, new entrants to the profession and established practitioners. The maximum capacity is 20 participants.